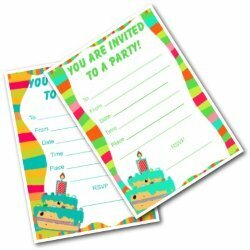 Birthday Invitations - Printable party invites for kids (and grown ups! 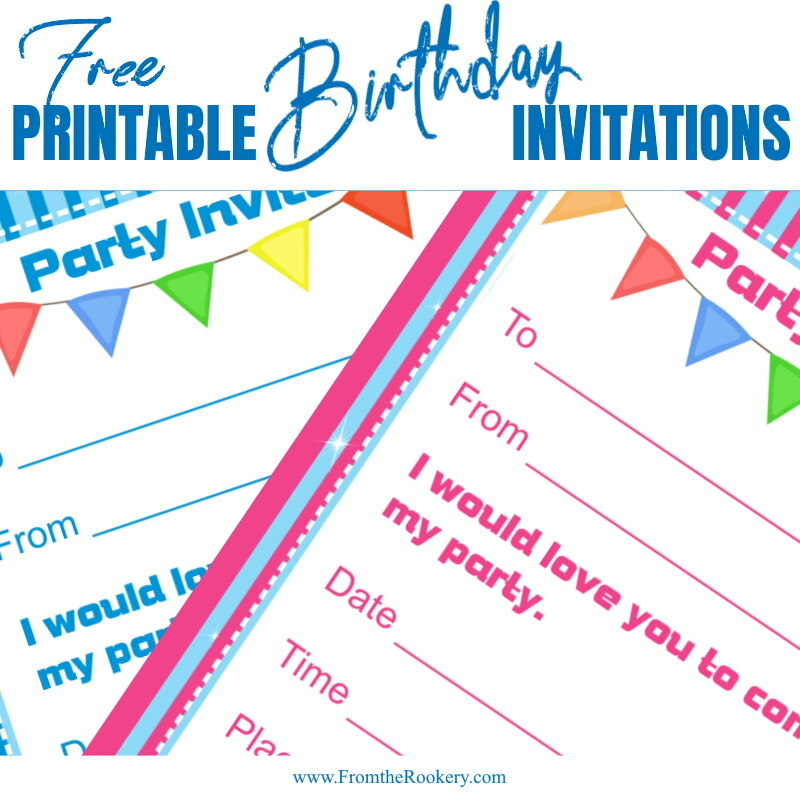 I have hundreds of party invitations available here - all for free! Just choose your favorite and download it - no need to sign up or register. Someone having a birthday! 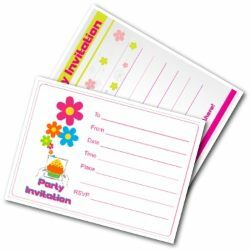 Find a fabulous invite card to invite them with. On this page I have two lovely designs for you.Choose from blue or pink! 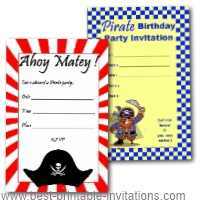 These striped designs would work really well for a beach or circus themed party. 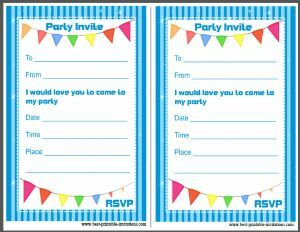 A lovely blue striped design with party pennants. 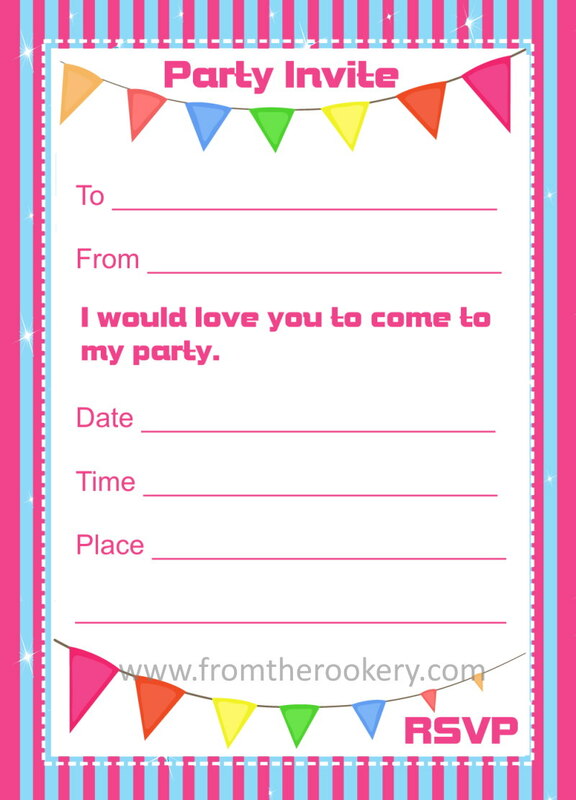 It is quite a simple one so perfect for lots of different parties. This would be good for boys (or girls like my daughter who hate pink!). 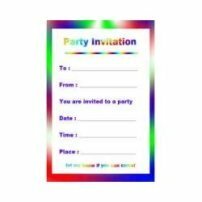 Save time by choosing a personalized download of this invite! 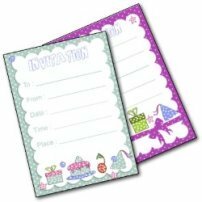 You fill out the detail and we will do the rest! 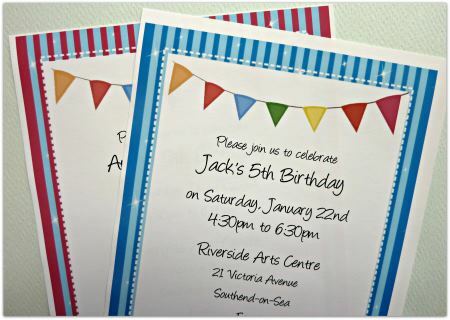 Preview your invitation until it is just right - you can test different fonts and font sizes. Then an instant download will be created and a download link emailed to you. 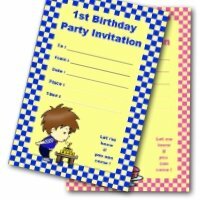 You can have this invitation printed and delivered to you within 24 hours! 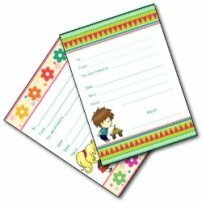 Order as many as you need from our partner, zazzle. 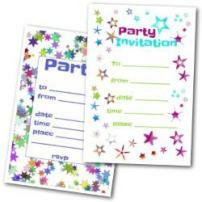 Just customize to match your own party details - and they will take care of the rest. Same again, but with a splash of pink to the stripes and the wording. 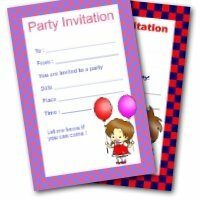 Why not have this invitation printed and delivered (with envelopes) within 24 hours? You can fully customize all the information (fonts, text etc). And even choose the color of the card. Zazzle promises 100% satisfaction. If you don't love it they will give you your money back. 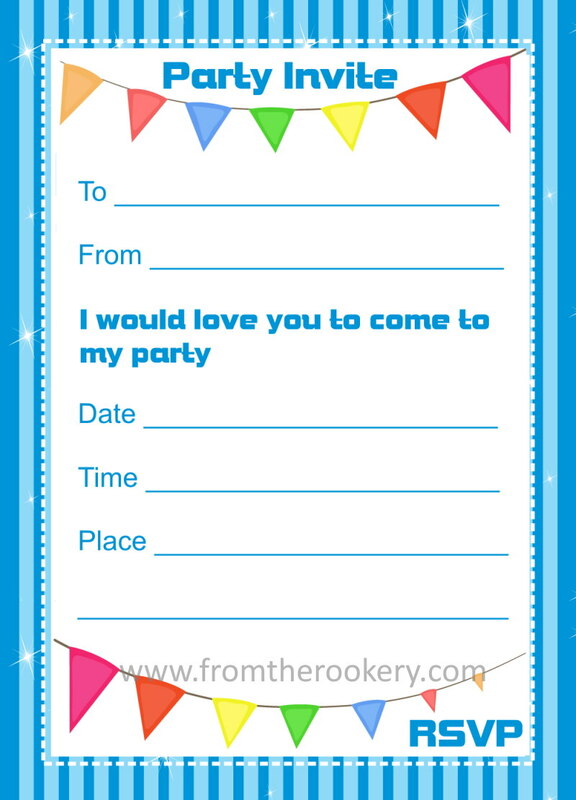 If you liked the pennants you could try making your own - perhaps build a party theme around it. There is a tutorial here you might like. 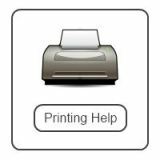 You could use fabric or paper! We made yards and yards of paper ones once for a party in blue and red. They looked very effective hung around the house - and the entrance drive. Thank goodness it didn't rain! I added some red and blue helium balloons too. Pretty simple but the kids liked the effect! 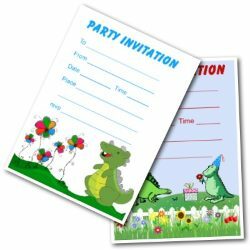 Did you want to see more invites before you decided? All are free, so why not print out a few to see which you like best?